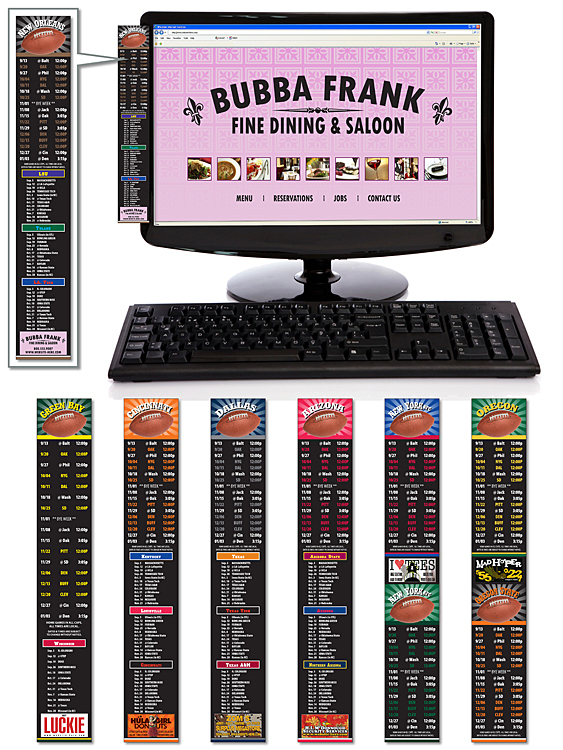 These repositionable adhesive laminated schedules are perfect for computer screens, keyboards, file cabinets, or just about anywhere a schedule will come in handy. The adhesive is removable so it comes off easily leaving no residue. Price includes full-color imprint. Price includes printing in full-color (four color process - metallic or fluorescent colors cannot be printed in full-color) on one side, choice of stock schedule. Custom schedules are billable at $60(C) per hour.